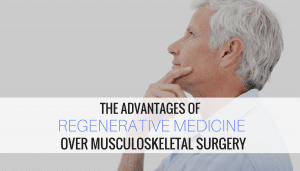 The Advantages of Regenerative Medicine over Musculoskeletal Surgery - Piedmont Physical Medicine & Rehabilitation, P.A. Regenerative medicine is a growing field within the pain management community. It is the biological process of replacing, repairing and regenerating human cells and tissues to restore proper function and relieve pain symptoms. We offer a variety of regenerative medicine treatments for musculoskeletal and peripheral vascular disorders. Often, these treatments are a viable alternative to surgery. Our patients have seen success with our regenerative therapies, and they have noted its many advantages over invasive surgical procedures. Most of our regenerative medicine treatments are a minimally-invasive, outpatient procedures. there is minimal pain: when autologous (your own) stem cells are used, patients might feel achy or sore at the harvesting location but this is far less than one would experience with a traditional procedure. And what is even better is that with placental derived stem cells, Platelet Rich Plasma (PRP), and Prolotherapy, procedural pain is even less. What Conditions Can Regenerative Medicine Treat? Our regenerative medicine treatments can help conditions such as neck and back pain, shoulder, elbow, hip, and knee pain, and several other wear and tear injuries. If a patient has been recommended to undergo back or spinal surgery, or knee replacement surgery and is looking to avoid the same, then regenerative medicine may be the answer. There may be instances where surgery is necessary, however, if you have your reasons against surgery, if you’re too young or old for surgery, if you have too many other medical conditions that make you a poor candidate for surgery, if you’re a weekend warrior or athlete that wants to avoid surgery, retard injury now, or help prevent problems later in life, then regenerative medicine is an alternative to consider. Generally speaking, most people who get regenerative medicine treatments do well, but like anything else, the less severe the disease the more likely regenerative medicine treatments will be effective. What Regenerative Medicine Treatments do we Offer? Stem Cell Therapy: Stem Cell Therapy utilizes concentrated stem cells (harvested from your adipose/fat tissue or bone marrow, or from a newborn’s placenta) to stimulate tissue repair and reduce pain at the affected/injured joint, muscle, tendon or ligament. Platelet Rich Plasma (PRP) Injections: PRP is an autologous (derived from the same individual) blood therapy that stimulates your body’s natural healing process through the injection of your own growth factors into injured areas. 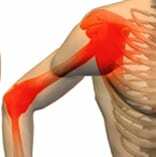 Prolotherapy: Prolotherapy is a technique where medications are injected into an injured musculoskeletal body part with the intent of regenerating tissue. 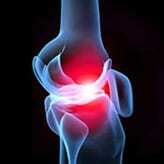 The goal is to strengthen ligament structures to relieve pain. With Prolotherapy we coax your body’s natural wound healing response to come to the injured area. Percutaneous Tenotomy: Ultrasound guided percutaneous tenotomy offers a new and innovative technique for treating tendonitis and tendon related pain. With the use of Musculoskeletal Ultrasound for both localization and needle placement, a percutaneous tenotomy (tendon repair through the skin) can occur. No incision is required and this is an in-office procedure. Not uncommonly a PRP patch is also recommended. Although we offer many treatments for restoring and regenerating joints, tendons and ligaments, we’re also focused on restoring your health holistically. We want to make sure you will get the best possible outcome. To that end, we also look for other conditions that might be affecting you or your “problem area” in order to see how we can improve them. We want to relieve stress from the injury or damaged site that is your primary concern. In short, we don’t have tunnel vision and only treat the injury, we also treat you! If you’ve are simply looking for another approach for your musculoskeletal pain contact us at 864 235 1834 to see if regenerative medicine is for you.